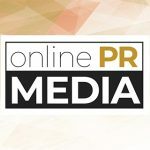 Online PR News – 16-April-2019 – Sunnyvale, CA – April 15, 2019 — TeleSense, an IoT technology innovator providing solutions to improve grain storage, announced today the acquisition of Webstech, a Danish wireless sensor technology company with a strong European user base. With the acquisition, TeleSense now has access to the largest remote-sensed dataset in the world and can offer current customers a complete suite of proven sensor technologies built to work in grain storage environments worldwide. "Spoilage and energy optimization in drying grain continue to be multi-billion dollar issues; TeleSense provides the data insights needed for players throughout the global grain ecosystem to improve safety and profitability," noted TeleSense CEO Naeem Zafar. "The acquisition of Webstech greatly accelerates our entry into the European market and provides millions of additional historical data points to further refine our machine learning technology and predictive algorithms." Already deployed across the United States and Australia, grain storage operators and transporters around the globe can now increase profits by alleviating spoilage and reducing quality degradation with TeleSense GrainSafe™. The scalable artificial intelligence (AI) platform continuously monitors temperature and humidity via portable and fixed wireless sensors to provide a real-time, comprehensive view of stored grain conditions. "How grain is stored, handled and traded in the years to come will change as new IoT-enabled technologies take hold throughout the supply chain," added Peter Votkjaer Jorgensen of Maersk Growth Ventures, who will join the Board of Directors of the newly created TeleSense Europe ApS subsidiary. "We think that this acquisition by TeleSense will accelerate the mission of higher sustainability and efficiency in the grain supply chain." "Standards in Europe are incredibly unique, and many agtech startups stumble trying to get a foothold in this complicated market," added Finistere Venture's Spencer Maughan, who is also on the TeleSense Board of Directors. "TeleSense will now be able to swiftly scale its footprint across Europe." Webstech CEO Thomas Kylling, an agriculture industry veteran, will join the TeleSense team as managing director for Europe. In this role, he will focus on supporting current European customers and building out regional sales teams to drive TeleSense's European expansion. "After operating in the European remote sensing space for almost a decade, I was absolutely blown away by TeleSense's integration of data science with an IoT solution for grain," noted Kylling. "I think that TeleSense will help drive the automation of the grain supply chain, and I'm excited to help lead the effort in Europe." TeleSense helps manage environmental risks in the world's food supply chain. TeleSense® provides Industrial IoT, real-time environmental monitoring solutions for grain production, storage and transport. Using cloud-based technology, TeleSense automates wireless data collection, so companies and growers can monitor conditions in real time to eliminate human error, improve operational efficiency and increase profitability. Backed by a collection of high-profile investors including Finistere Ventures, Maersk Growth, Rabobank's Food & Agri Innovation Fund, the company is headquartered in Sunnyvale, California. For more information, please visit www.telesense.com.